Groove Criminals: Flame on! Bonus samples for ya. Because we work to quite tight deadlines time wise each month, sometimes we fluff our plans completely and fail to get our mitts on bits of gear we've got our eyes on in time for the samples we want it for...err does that make any sense? 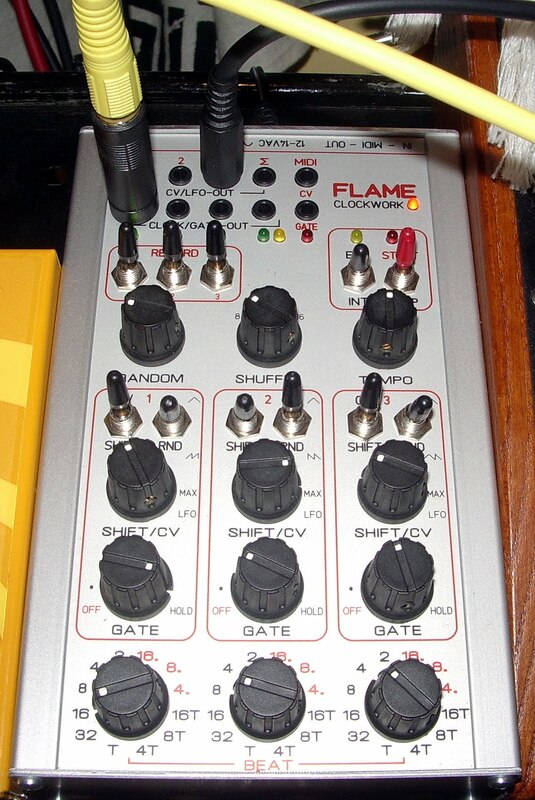 Anyway, the above Flame Clockwork was one such toy we wanted to use for the recent set of control voltage samples for FM234. Even thought we missed the deadline we could resist throwing together 70 or so bonus samples for you using the clockwork driving the CV ins of the Moog Little Phatty and SH101. You can download a .rar file of the samples here.